One of our main motivation refreshers in our office is our football table and we use it heavily every day. Someone came up with the idea: „Hey, why don’t we add some freaking MQTT support to the football table?“. Of course there was no argument against it and so we added the MQTT support and used a Arduino One for the job. To make things more interesting we decided against a mechanical goal trigger and used infrared sensors for detecting goals. To raise the motivation even more we used a Raspberry Pi to play goal celebration sounds on actual goals, notified via MQTT, of course. To raise the nerd factor a bit more, we also decided to remove the built-in goal counter (which needed human interaction count up) and built a very basic small web application which acted as goal counter by using websockets to get MQTT messages when a goal was shot. This web application also implemented the logic when a player has won and published messages to the MQTT broker. MyMQTT for Android was used as a remote control to reset the game with. With MQTT, of course. 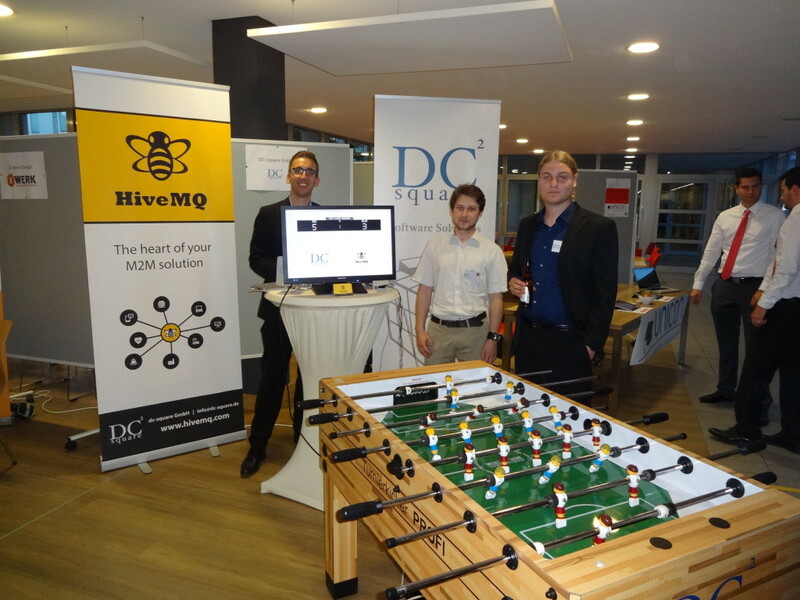 The HiveMQ MQTT broker was the heart of the communication. 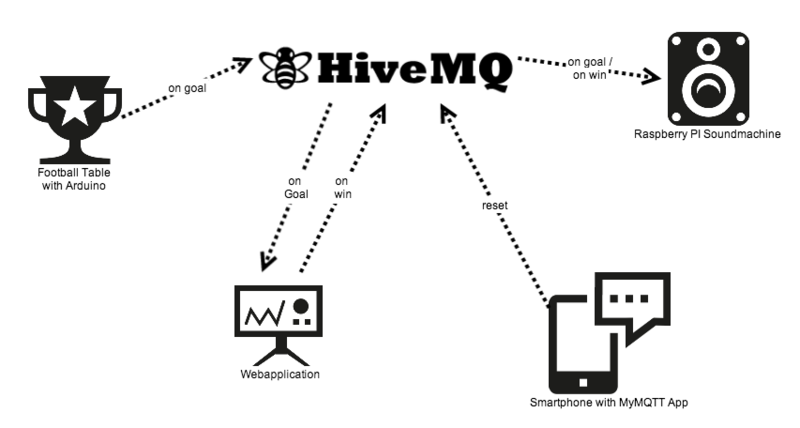 All communication was done via MQTT with the HiveMQ broker. 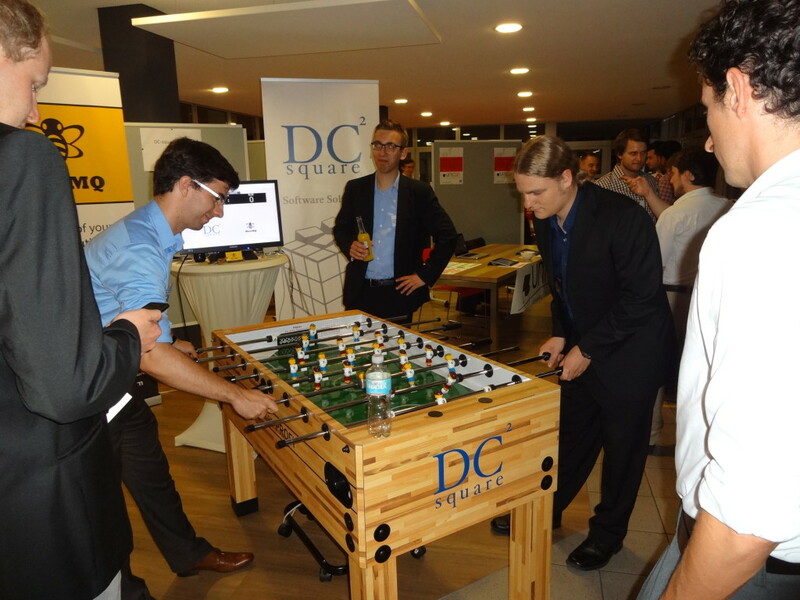 We brought the football table to an event a few days ago and it was the absolute highlight of the event. Everyone had great fun.